Western North Carolina's go to for all things glass since 1960. 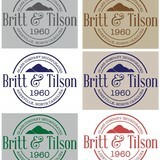 Third generation family owned business built on quality of service and relationships. From a single picture frame to a multi level commercial building we cover the full realm of glass. Beautiful Solid Hardwood Entry Doors, Sidelights & Transoms Shipped Pre-Hung & Factory Direct to Your Job Site. Save up to 60% over Home Center Prices. Get it Fast! We build and ship most orders within 7-10 business days. Mike Tiller and Greg Hyder, co-founders of Horizon Carriage House Doors have built their business on an old school principal known as Pride In Workmanship. Every door that leaves the shop is hand crafted by master craftsmen. 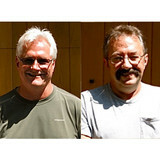 Mike and Gregg have over 60 years of combined experience in woodworking and their product speaks for itself. Horizon’s core values are; Quality, Value and Outstanding Customer Service. If you don’t have a professional plan for the door you want, no worries, if you can draw it on a napkin, Mike and Greg will build it for you. Horizon hand selects the wood for your door. Whether it’s Cypress, Cedar, Oak, Knotty Alder or whatever you want, Horizon uses the finest hand selected wood from around the globe and If you have a particular species you want, they will find it. Before a project begins, Horizon will visit your job site to ensure that the doors will precisely fit the planned or completed framing. Mike and Greg build each custom door to fit the opening, regardless of the dimensions. Plus, if your plans call for an arched opening, Horizon will match the door to your arch. A front porch and door decor store! We sell high quality products to enhance and beautify the entry way to your home. What kind of services do Marshall door dealers provide? Door dealers are responsible for a variety of services, including door installation, replacement, door repair and custom door design. If you need a new door, Marshall, NC door dealers will help you determine what kind you need, as well as shape, color, size and more. From barn doors to French doors to front doors, these professionals can help you choose, install and maintain your door investments. Wood doors are beautiful, versatile and tend to be the most popular choice for both interior and exterior doors; they are easy to custom build, and include oak, cherry, walnut, mahogany, maple, fir and pine. Some standard wood doors have MDF cores wrapped in wood veneers, which minimizes the chances of warping as real wood expands when wet and contracts when dry. If your heart is set on a wood door but you think the Marshall, NC climate might cause it to warp, talk to your door professional about a furniture-grade veneered door. Aluminum doors have an insulated core and come in a variety of colors and finishes. With a baked-on enamel finish, they won’t rust or need repainting, and many come with a 20-year warranty. Next to wood they are the most expensive and have to be custom-made. A Marshall, NC door dealer can help you find a reputable aluminum door manufacturer. Find door dealers and installers in Marshall, NC on Houzz. 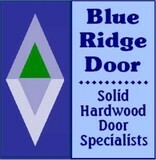 Look in the Professionals section of our website and search for Marshall, NC door dealers and installers. Read reviews, look at project photos and see how a pro can help with your home improvement project.